If last week’s agenda post was a little overwhelming, fear not! We’ll share some of the details between now and October 10. Our Keynote Speaker, Dr. TaMara Griffin, Sacred Soul SEXucator and Holistic Healer, will be speaking to us about the need for everyone, from clients to clinicians, to practice self care and heal old traumas. Not just the big capital-T Traumas, but also the little daily traumas that often go unaddressed. Intrigued? Go check out her website and her books. She has some absolutely fascinating and thought-provoking things to say! And then get ready to come hear her speak at the Nursing Summit on October 10, 2018. If you haven’t already registered, it’s not too late. We’re into the late registration period, but better late than never, and we’d love to see you! Today is the last day to register without a late fee for the GLMA Nursing Summit. In case you are on the fence, here’s our agenda. It’s full of speakers and presentations you won’t want to miss! Todd Tartavoulle DNS, APRN, CNS-BC. GLMA is approved by the California Board of Registered Nursing, Provider Number 16038, to provide nursing continuing education credits. The GLMA Nursing Summit is approved for 7.5 contact hours. In order to cover GLMAs administrative costs, there will be a $30 charge for issuance of CE certificates. Those attending and claiming credit for the GLMA Annual Conference will only pay the administrative fee once (for both the Nursing Summit certificate and the Annual Conference certificate). CME is not available at the Summit. Please see the Registration Desk at the Summit for more information or to pay the fee. This agenda is subject, of course, to last-minute adjustments. We hope nobody’s plane is canceled or delayed, for example, but if that (or similar) occurs for a presenter, the schedule will be adjusted accordingly. 6 Days Left to Register! There are six days left to register for the GLMA Nursing Summit at the regular registration price! In addition to the topics mentioned earlier, we will be having a panel discussion on innovative strategies for promoting awareness among healthcare providers. You won’t want to miss this, so save yourself a little money by registering to attend before the late registration fees go into effect on September 18! There is still time to register online for the GLMA Nursing Summit! The deadline for regular registration is September 17. Save yourself a late fee and register here now! Also, our 2018-2019 leadership team and leaders-in-training will be announced at the summit. Are you interested in joining the leadership team or the leaders-in-training? Please email current chair, Caitlin Stover! This is a great way to increase your involvement in the Nursing Section and develop your leadership skills. Come one, come all, to the 2018 GLMA Nursing Summit! Nurses at all levels of training and practice will find plenty to learn as well as the opportunity to connect with other nurses. Remember to bring your business cards – this is the exact sort of thing they are for! You may also be interested in joining our networking database, a new and growing project to make it easier for nurses interested and involved in LGBTQ health to connect. Also, there is still time to register at the early bird rates! The early bird registration deadline has been extended to 7/31/18. Click here for details and to register. It’s to your benefit to register while the rates are discounted, and it also helps with planning if we know roughly how many people to expect. Watch this space for updates on the agenda and other GLMA Nursing Section news! Click “follow” to receive an email alert whenever a new blog post goes up. Sneak Peak at the GLMA Nursing Summit on September 13th! GLMA Nursing Summit Program Announced! Ample opportunities for networking, including learning innovative networking strategies. Presentations by GLMA Nursing Section members sharing their current LGBT initiatives. Opportunities to collaborate with others around your specific interests related to LGBTQ health. The detailed program for the 2016 Nursing Summit is on the GLMANursing.Org website, which also provides links for Summit and GLMA conference registration, information about the 34th Annual GLMA conference, and travel and hotel information. Nursing Summit 2015 is Right Around the Corner! At 11 am on Thursday next week (September 24th), the opening bell will ring for our GLMA Nursing Summit 2015! We will not have as much time as we have had in the past, but the time we do have will be a dynamite, fun and inspiring time together. I know that there are still many nurses “out there” who do not yet even know we exist (I met 3 of them on a google hangout 2 days ago) – so it is imperative that every time you hear or read something about GLMA Nursing, share it as widely as you can – I have listed a few hints below about how to do this! Our lack of visibility in nursing is not a surprise, or course. Like the lingering effects of “don’t ask, don’t tell” our invisibility in nursing continues to be perpetrated by the many damaging effects of stigma that still exist within nursing, and in fact throughout society. And to make matters worse, until now we have not had an LGBTQ “home” for nurses – our connections with one another have been largely informal friendships, sometimes nurtured across geographic landscapes by our informal connections in other organizations where we make it point to find other LGBTQ nurses who are our friends and acquaintances. 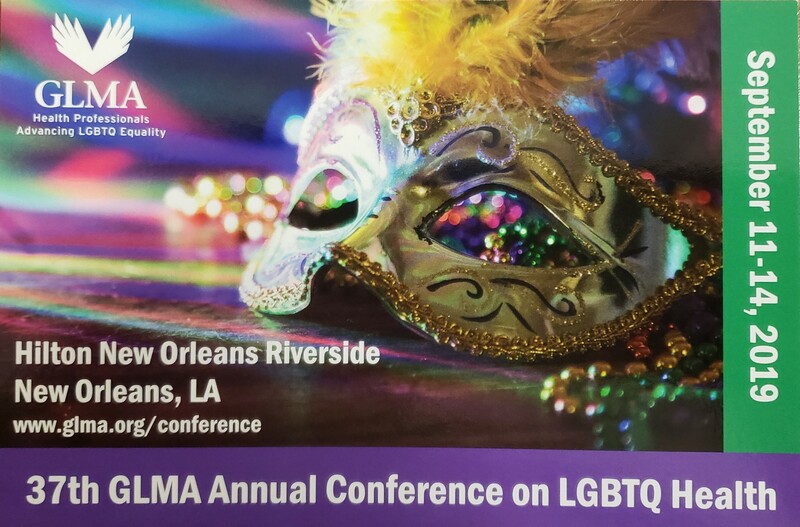 Now, because of the GLMA Nursing Section, we are blazing a new trail, learning as we go how to turn our nursing gaze on the challenges of LGBTQ health in the context of a formal organization. Join! Your membership in GLMA, and the GLMA Nursing Section, is a vital way to help ensure our success over the long haul. Sign up for the GLMA nursing email list! The list is open to all, member or not, nurse or not – anyone who is interested in nursing action on behalf of LGBTQ health. “Like” our GLMA Nursing Facebook Page, and add news and information about nursing and LGBTQ health any time! Check #GLMAnursing on Twitter to learn real-time “happenings!” This will be especially interesting during the Nursing Summit and the GLMA conference! If you are there, please tweet regularly and use #GLMANursing to let the world know what is happening! If you have not yet tuned in to the 2015 Nursing Summit, plan to do so in any way you can! It looks like we may have a smaller-than-usual number of attendees in person – but remember that we may be small, but we are mighty!!! If you are among those who can be there, that will be wonderful — our Summit planning Chair Caitlin Stover and her team have a great agenda planned! If you are still thinking about coming, please register soon, and join us! If you are having a hard time getting to Portland Oregon by noon on Wednesday, get there as soon as you can – we will be thrilled to see you arrive any time! If you cannot be there, then be sure and follow this blog for live, on-the-spot reports of what is happening! When you get an email notice of a new blog post, you can respond to the post so that your “voice” can be “heard.” You can download the WordPress app on your mobile device and check the blog regularly, and reply on the spot! And, if you have not yet joined GLMA and the Nursing Section – this is a very important way that you can support our important work! Remember – this is the one and only organization that is dedicated to LGBTQ health, and that offers a “home” for LGBTQ healthcare professionals and our allies. So even if you cannot be at the 2015 Summit, you can be a member! Join us today! !